"Trends come and go. Their popularity goes up and down. And anyone with an Oculus VR Headset and ELSACO Motion Simulator Combine can ‘ride the waves of popularity’ of any trend." 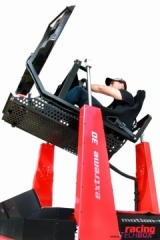 "Dit is de 4×4 simulator van het Tsjechische bedrijf Motion-Sim." 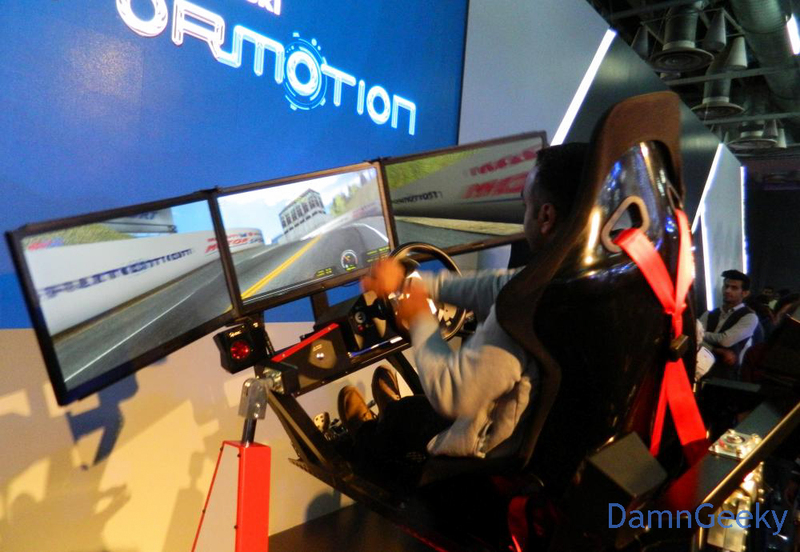 "I’m not much of a gamer but I think this Racing Simulator by Motion Sim could cure me!" 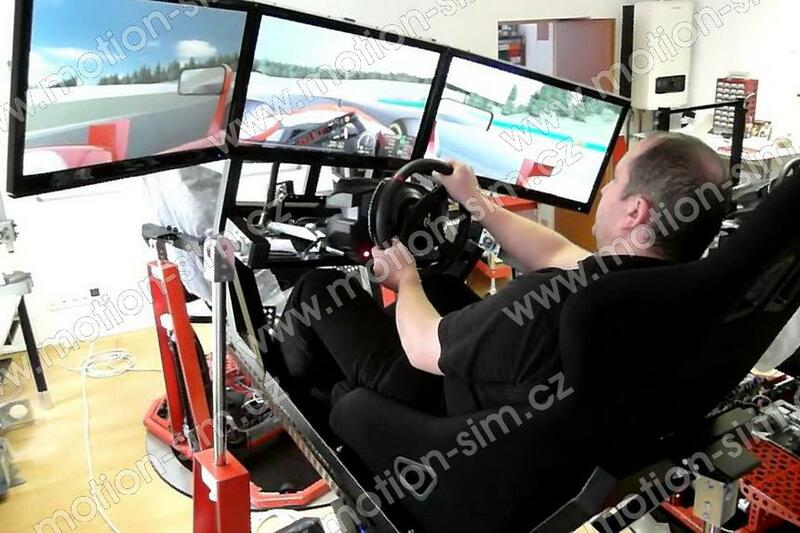 "Engineers from Elsaco, a company in the Czech Republic, have created a racing simulator like you have never seen before." 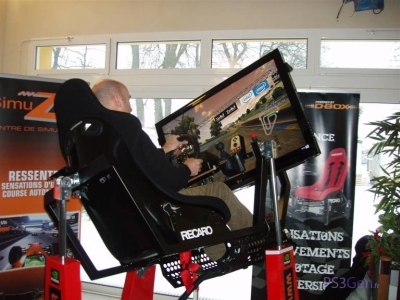 "Elsaco’s racing simulator lets you drive virtual car with vibrations and G-FORCE"
"This racing simulator is made by a Czech company called Elsaco." "Para aquellos amantes de la velocidad que buscaban un simulador decente y no tan caro como el Cruden Hexatech, les presentamos el 4DOF de la empresa checa Elsaco (propietaria de Motion-Sim)"
"For those lovers seeking a decent speed simulator and not as expensive as the Cruden Hexatech, we present the 4DOF of the Czech company Elsaco (owner of Motion-Sim)"
"This racing simulator costs more than a car but you'll still want it"
"Incredible racing simulator lets you drive a virtual car complete with realistic vibrations, stomach-churning turns and G-FORCE"
"Well, the folks down at ELSACO apparently decided to say “F*ck those console amateurs!”, because they have come up with the coolest video contraption ever, that will make any console army feel about an inch tall!" On the Polish site Wirtualna Polska published an article about our simulator. The editors look at the places where the compiled simulators, and of course he tried it. Game server hrej.cz (Level magazine) did an interview with our chief designer (link). In an interview you can read about the history and future of our project. Professional driving instructor evaluate our simulator. Our simulator has already tried many professional and semi-professional racers or people who earn money by driving a car. All were excited about it. Someone compared with more expensive competitors and could not find a difference. Someone immediately ordered a few pieces into his team. One written submissions can be found in our Slovak colleagues, where Martin Bezdek, an instructor of the Tempus Max Cars evaluate our simulator. TA3 news television provides daily information on current events, news and innovations. In May, part of his program ”The World of Technology“ is devoted to gaming technology. Editor moderated the program from the seat of our simulator. Since 9 minute video is devoted to simulators from the very simple (keyboard) to the most sophisticated, among which include our simulator, which editor can verify. 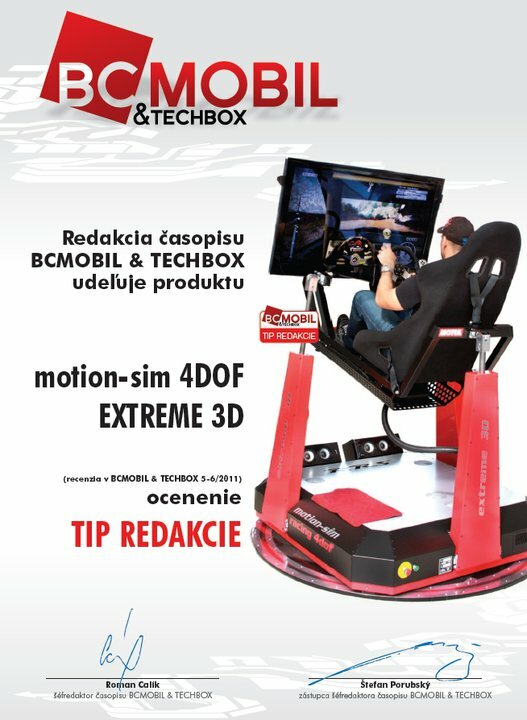 In CARS magazine is written about our simulator (simpolska.pl) as about technological master-stroke. We can only agree, it also praised the quality of the simulator for several professional racers. Editor from server techbox.sk some time ago discovered a video of our simulator, which inspired him to writing a short article. Now they have nice photo gallery on this server. Enjoy! Our simulator passed the test of French gaming site ps3gen.fr. And as you write: what was 10 years ago just an illusion, is now becoming a reality. Simulator (in France under the name GTR-600) editors wowed faithful simulation of the forces.